The Branson Police Department is asking for help in identifying two suspects possibly involved in breaking into vehicles in Branson in the early morning hours of April 30th. 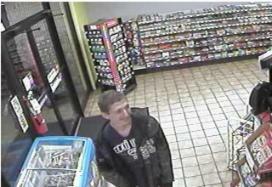 The thefts from the automobiles occurred in the Branson North Subdivision located off Highway 248 in Branson. Taken from one of the vehicles was a credit card which was used at several Kum and Go convenience stores in Springfield, Missouri later that same day. 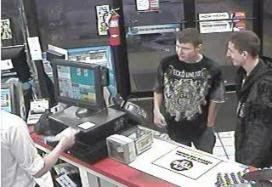 The attached photos are of two males believed to have used the stolen credit card. Anyone having information to offer is asked to call the Branson Police Department at 334-3300 or call the department’s CATCH line at 334-1085. Shall Taney County levy a tax of 5 cent per each one hundred dollars assessed valuation for the purpose of providing services to persons sixty years of age or older. Faith is the guide by which Sherry Herschend leads her life. "In both secular and spiritual leadership, I try to model servant leadership," says Herschend, the co-owner and co-founder of Herschend Family Entertainment Corp.
"I use my enthusiasm and passion for our corporate culture to influence, persuade and guide our third- and fourth-generation stockholders to practice our mission statement of creating memories worth repeating by greatly exceeding customer expectations and striving to be the employer of choice while doing all things in a manner consistent with Christian values and ethics." In 1954, Herschend, a Branson native, married Jack Herschend, chairman and CEO emeritus of Herschend Family Entertainment Corp., formerly Silver Dollar City Inc., which was founded in the early 1960s. 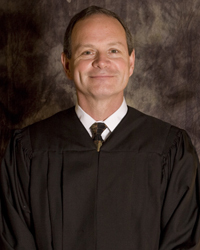 Hollister, Mo - Municipal Judge and private-practice attorney Randy Anglen recently finished authoring and is now publishing the story of his fight to gain access to his son who was kidnapped by his Chilean mother to her native country. "I have heard enough," said the Chilean judge. "Bring the child into the courtroom." Sandra’s attorney left the courtroom to get Christian. I had not seen my son for four months—since Sandra abducted our son to Chile. He was now 23 months old. I wasn’t sure he would still recognize me. Sandra’s sister, Angelica, brought Christian into the courtroom. She placed him on the floor, ten feet in front of Sandra and me, then turned and left. Little did Angelica know that she had set up the little game that Sandra and I had played many times in the past. Faced with a choice to go to Sandra or me, Christian ran straight into my arms, just as he had always done before. That was April 1, 2005. I would not hug my child again for four years. Traditionally, the heinous crime of parental kidnapping is conducted by women. However, the most recent list published by the FBI includes a number of men who have acted maliciously to cause undue harm to innocent children and families. Anglen's successful struggle involved unrelenting drive, financial resources and determination and resources many victims of parental kidnapping don't have. Unfortunately, justice in America, and abroad, often comes at a high price.